Over the last 25 years Norside Ltd has moved into insurance works for private, commercial and local authorities, ranging from storm damage to roofs to fire and flood re-instatement works. We have built up a good working relationship with insurance companies, working alongside loss adjusters and surveyors ensuring a smooth transition from the strip out to the re-instatement. Whether it’s a loose slate or a whole property, Norside Ltd offers a full multi-trade service. 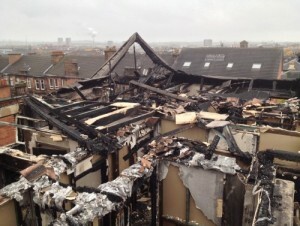 In 2014 we re-instated 26 flats that were devastated by fire in Dennistoun village, Glasgow. 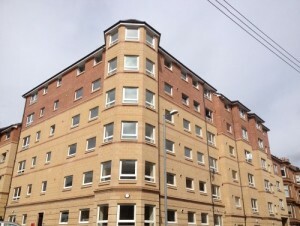 This was a yearlong project which included re-instating the roof and all external and internal works. Whether its storm damage, fire or flood we appreciate how devastating this can be and we aim to ensure that our clients have a full stress free transition from the project start to moving back into the property.